This is the book that started it all! Come join us as we revisit this classic! Wednesday nights @ 6:30 at Peace of Mind Books! NEW Book Discussion Starts June 27th!! Women who have turned to feminist spirituality for appreciation of women’s ways of knowing have struggled with the confining concept of the Triple Goddess. Instead we will look at thirteen empowering archetypes presented in Empowering Goddesses Classes. 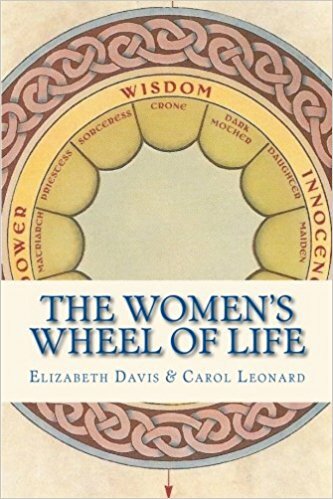 From Daughter to Blood Sister, Mother to Amazon, Sorceress to Crone, this groundbreaking class will reveal the grand pattern of women’s lives, rich and complex, beautiful and mysterious. Until we get to know and understand ourselves so deeply and completely, we can hardly expect others to understand us. By each of us doing this inner work that teaches us how to express ourselves more clearly, articulately and intelligently, we are contributing to the evolution of humanity. Next PostNext New Goddess Group Forming!